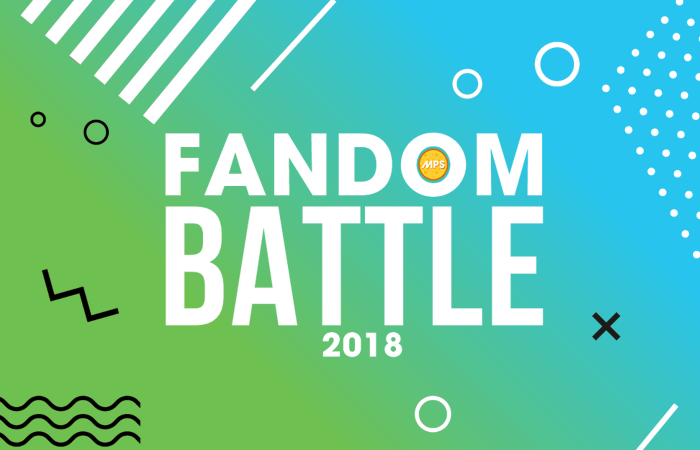 ​MPS Fandom Battle 2018 is the 3rd installment of MPS Fandom Battle and it was 3 years apart from the previous one. The battle is exclusively for Pinoy fandoms only and bracket style of voting was used. The battle began on August 6, 2018 composing of 32 fandoms who pitted against other fandoms until it went down to the final match-up. The battle ends on September 10, 2018 and Bandmates, the official fandom of BoybandPH was declared as the winner. They were recognized on our social media accounts. Round 1 - Round of 32 from August 6 to 13. Round 2 - Round of 16 from August 13 to 20. Round 3 - Round of 8 from August 20 to 27. Semis - Final Four from August 27 to September 3. Finals - Championship Round from September 3 to 10. Note that fandoms with same letters were the match-ups of that particular round.